Its hard to believe it but its been 30 years since David Bowie unleashed his 1972 masterpiece, The Rise And Fall Of Ziggy Stardust And The Spiders From Mars. As great as Ziggy still is the album was a justified reflection of all the great things early Bowie believers already knew about him dating back to his 1969 U.K. chart topper Space Oddity. A sci-fi flavored pop-u-mentary of sorts, Ziggy was Bowies dream / reality of just how he would morph into the superstar he eventually became. Its every bit as good as earlier Bowie conquests like The Man Who Sold The World and Hunky Dory, yet Ziggy is often the album credited with bringing Bowies name to the apex of the pop world. As great as Bowies songs and singing is on Ziggy, credit for the albums perennial popularity must also be shared with two long time Bowie cohortsthe late, great guitarist / arranger Mick Ronson and the brilliant engineer / producer Ken Scott. As Ziggy demonstrates, Ronsons superb guitar work and string arranging, paired with Bowies enormous talents and a singer-songwriter remains the stuff of legends. And who can forget the gifted rhythm section of Trevor Bolder (bass) and Woody Woodmansey (drums). 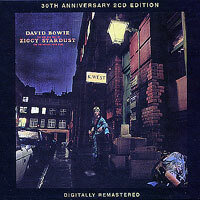 RCA Records first released the 11 track vinyl LP back during heady music year of 1972, while this 2002 30th anniversary 2 CD edition of Ziggy on EMI Records pairs a newly remastered version of the original album with another disc of rare b-sides and essential singles from the Ziggy years all topped off by an extensive booklet brimming with liner notes and prominent photos. Possibly the most important rock record of 1972, Ziggy is one pop masterpiece that seems to get better with age and EMIs new 23 track double disc 30th anniversary version is surely the best sounding and most intriguing version of the album to date. For Who fans, the holy grail has just been unveiled. 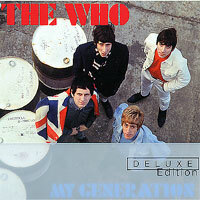 The groups fabled first album My Generation was reissued for the first time in true stereo on August 27, 2002. Produced by legendary 60s pop producer Shel Talmy back in 1964-65, My Generation was released by Decca Records in 65 but was never properly mixed to stereountil now. More than 35 years after its 60s release, Talmy finally relented and has remixed the My Generation album from the original three track masters for the first time in true stereo. Although the album was released on CD back in the 80s, this newly remastered double disc version of My Generation is clearly the one to hear and keep. Produced by Talmy and Universals Andy McKaie, the double CD set sounds and looks incredible. 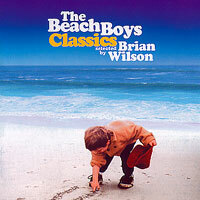 Pairing the original album with rare singles (one disc one) with an added disc filled with bonus tracks and alternate versions (one disc two), MCAs Deluxe Edition My Generation is complete with expanded artwork (including the original U.S. and U.K. artwork) eye-opening photos and detailed track data along with expansive liner notes by Shel Talmy, who puts songwriter Pete Townshend and the Kinks Ray Davies (two artists he produced early on) on the same pedestal as John Lennon and Paul McCartney. With the passing of the Whos late, great bassist John Entwistle, this expanded My Generation will open a floodgate of memories for long time Who fans. Florida-based One Way Records is one of Americas leading reissue labels. 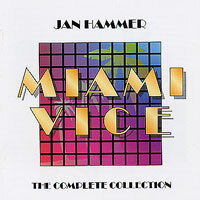 Their most recent releaseMiami Vice: The Complete Collectionby the multi-talented Jan Hammer sets the record straight concerning one of the most popular TV soundtrack albums of all time. Disc one of the 42 track double disc set features the incredible music Hammer created and produced for the show during 1985-1988 while disc two features newly recorded and remastered MV selections recorded in 2001. Hammers albums remain a huge influence on so many top jazz-rock instrumentalists including guitar ace and Hammer collaborator Jeff Beck. The double disc set features amazing sound quality, 2001 liner notes and new track by track reflections by Hammer. Upstate New York-based Sundazed has pulled an enormous coup releasing the first ever CD of the 1967 album by folk-rock superstar duo Chad & Jeremy. 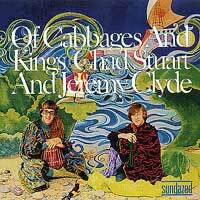 Part of the original mid-60s British invasion, Chad & Jeremy moved away from their mid 60s smooth pop sound and broke new ground on their 67 Columbia Records album Of Cabbages & Kings. Inspired by the success of Sgt. Peppers earlier in 67, the album featured a memorable mix of light-hearted pop psychedelia and catchy folk-rock. Produced by the late, great Gary Usher, Of Cabbages & Kings was revered by their fans, yet sadly remained somewhat of a cult item over the years. Sundazed has done a brilliant job with their 2002 reissue, adding in six bonus tracks and eye-opening liner notes by Jud Cost. Also check out the exemplary Sundazed reissue of Chad & Jeremys 1965 album Before And After, which adds on eleven bonus cuts. The 2001 Yes CD Magnification and the Symphonic Live DVD that followed, depicted the veteran band as a rock institution that has finally come to terms with its own greatness. As eminent as those releases are, Yes recently achieved another milestone with the regrouping of the classic 1973 line-up of Steve Howe, Chris Squire, Rick Wakeman, Alan White and Jon Anderson. If their recent live performance at Jones Beach on Long Island on August 3, 2002 is any indication as to whats coming, Yes fans will be in for a great future. 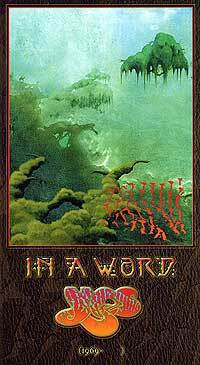 That classic Yes group and a number of other line-ups are revisited on the new 2002 Yes box set released by Rhino Records / Elektra Records entitled In A Word: Yes (1969-). Spanning the groups 33 years of musical greatnessfrom 1969s Yes all the way to Magnificationthe elegantly packaged box set combines 55 newly remastered tracks on 5 CDs, including several worthy unreleased tracks. Produced by Yes and Rhinos reissue guru David McLeeswith additional archival research and mixing by guitar great Steve HoweIn A Word: Yes is topped off by Roger Dean artwork and an expansive 80 page booklet retracing the groups fabled career as recalled by the 70s Melody Maker raver Chris Welch and Yes expert Bill Martin. The most impressive Yes box to date, Yes: In A Word brings together the past, present and future times of progressive rocks most enduring musical legends.